Michigan is owed more than $800,000 for cleanup costs, civil fines and administrative penalties for failure to properly remediate three sites with leaking underground storage tanks in Berrien County, the state Court of Appeals has ruled. The defendants are asking the Michigan Supreme Court to review the case. At issue are petroleum products that leaked from underground tanks at two gas stations and a bulk fuel distribution center in Galien and Baroda, west of Niles and north of the Indiana border. The sites still haven’t been cleaned, according to the Department of Environmental Quality (DEQ). According to the court, Baroda-based Strefling Oil Co. had used the properties since at least 1986. Between 1994 and 2001, petroleum products leaked into the ground at all three locations, the court said. The company notified the state of the releases and was told to hire a consultant, clean up the contamination and submit “final assessment reports” to the DEQ. After Strefling Oil failed to submit the reports, the department sued the company, as well as its vice president and a related company that co-owns the land. 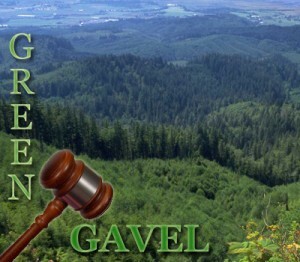 A Court of Claims judge held the defendants liable under the state’s Natural Resources Environmental Protection Act and ordered them to pay fines, damages and penalties. The court also rejected the defense argument that company Vice President Ronald Strefling and family-owned Strefling Real Estate Investments — the property owners — shouldn’t be held financially responsible. “The fact that they didn’t own the tanks does not insulate them from liability because they controlled the property on which the tanks were located and had extensive knowledge of the tank operations,” the court said in an opinion signed by Judges Peter O’Connell and Stephen Borrello. Ronald Strefling was a company officer and employee and knew the purpose of the tanks, the majority said. As a result, the owners could reasonably anticipate that use of the tanks could cause petroleum products to leak. But one member of the three-judge panel disagreed on liability for Ronald Strefling and Strefling Real Estate Investments. Under the majority’s reasoning, Murray continued, the only way the property owners could have avoided responsibility for a possible leak would have been to prohibit Strefling Oil from operating the tanks. He said the appeals court decision creates a risk that property owners who want to lease their land will have “little room to insulate themselves from liability” for leaking underground tanks, even if they themselves aren’t involved in the operation. “You have to do more than say ‘You’re a property owner and you’re liable,’” Drueke said. According to the DEQ, Strefling Oil hasn’t notified the state that cleanup in complete. Based on the company’s previous non-compliance, DEQ has tentative approved spending from the state Refined Petroleum Fund to hire its own environmental consultants “and undertake necessary corrective actions at the properties to protect public health and the environment,” he said. Work could start as soon as October if Strefling Oil fails to complete the cleanup. If that happens, the state could recoup the costs under the court judgment, he said.